Justin Bieber‘s got some new ink … okay A LOT of new ink. JB posted a vid of himself walking around his home Saturday morning — shirtless, of course — showing off a shocking amount of tattoos on his torso. Seriously, his entire upper body is now almost completely covered in tats. 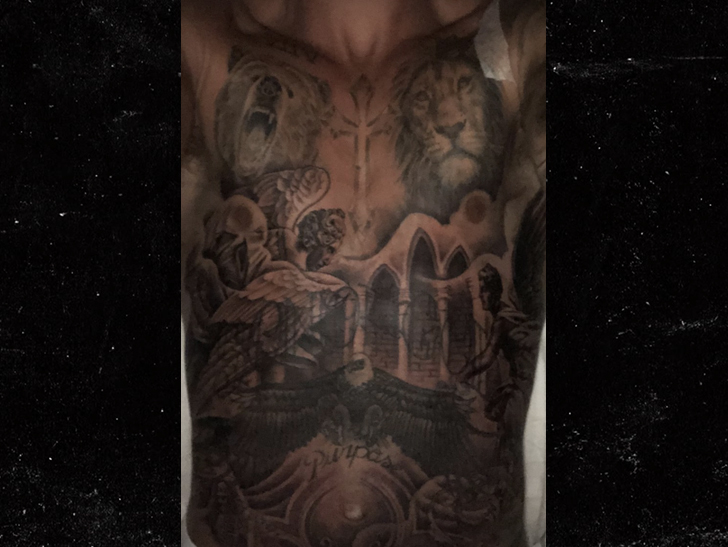 It looks like the fresh art on Bieber’s midsection has a religious theme — including archways and angels — which would be in line with his new look on life. As you can see … last time we saw the Biebs without his shirt on, he was not nearly as blasted.